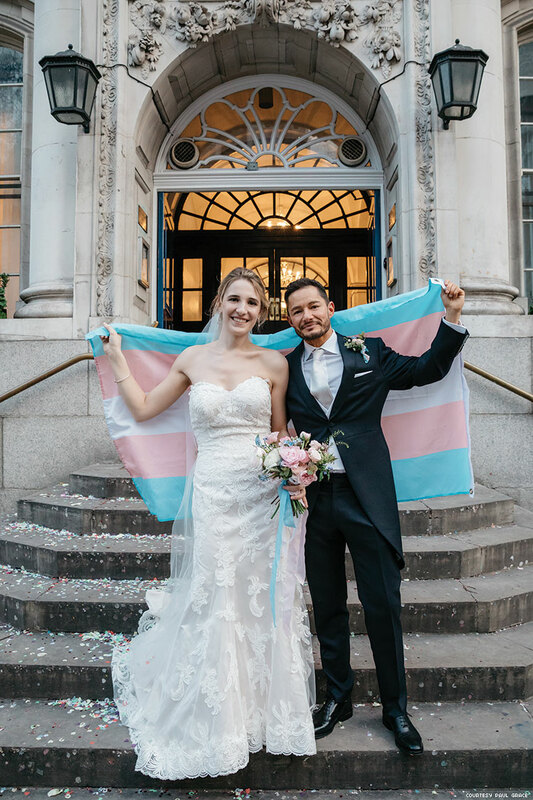 Jake Graf, a London-born director who became one of the first transgender actors to play a cisgender character (in last year’s award-winning film Colette, about the famous bisexual writer), recently posted on Instagram about his 2018 wedding, family plans, and the importance of trans rights. Last March, Graf, then 40, married Captain Hannah Winterbourne, then 31, the highest-ranking transgender officer in the British army. Graf’s award-winning short films include Brace and X-Why. Without a doubt, the two activists may be the most visible trans people in the U.K., where they plan to start a family. “Despite the current U.K. media vilification of transgender people, Hannah and I know how lucky we are,” Graf wrote on Instagram.